(UPDATED May 4, 2015) The last time Eritrea’s ruling (and sole legal) party had an organizational congress was in February 1994, over twenty-one years ago. This is remarkable even by its own low standards: During the full-fledged War of Independence, 10 years passed between its first congress in 1977 and second congress in 1987, and 7 years between its second and its third and last in 1994. 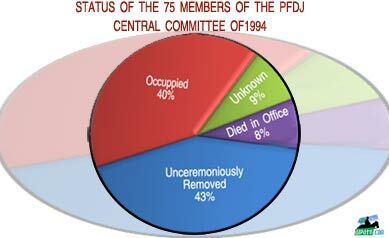 At the PFDJ Congress (the first and only one for the re-named party), 75 individuals were elected to the Central Committee, which is the party’s legislative arm. These 75 individuals were supplemented with 75 appointees to make up the 150-member National Assembly which was operational (barely) between 2/1994 and 2/2002. What has happened to the 75 members of the Central Committee? Abdella Jaber ARRESTED. The Director of PFDJ’s Organizational Affairs, Abdella Jaber was considered instrumental in organizing Eritreans in the Middle East and he did the ground work for the Eritrea-brokered Sudanese peace agreement between Khartoum and the Eastern Front. Arrested in 2013 allegedly for his involvement in Forto 2013, the attempt to take over the Ministry of Information and demand democratic changes. His whereabouts are unknown. Abraha Kassa OCCUPIED. Long-standing head of National Security. Usually avoids the limelight but, in 2014, he participated in a symposium on human smuggling where he blamed the United States for being behind the massive exodus of Eritreans from Eritrea. Abrahaley Kifle FROZEN. Former ELF (Sagem) member who joined the EPLF after the implosion of ELF. Has held a series of posts including as liaison for the UN commission monitoring the Eritrea-Ethiopia border (UNMEE); consul-general in Mekele; charge d’affairs in Holland. Was long considered up-and-coming after he was offered multiple portfolios.He appears to have been frozen: not much is heard about him. Adhanom G/Mariam EXILED. Was a member of the G-15, one of 3 who were not arrested because they were outside the country on September 18, 2001 when the round-up of G-15 was initiated. He is an active member of the opposition organizations and one of the leaders of the Eritrean People’s Movement. Ahmed Haj Ali ARRESTED. Served as Minister of Tourism and later Minister of Energy and Mining. He was employed in that capacity until 2013 when he, along with Abdella Jaber and Mustapha Nurhussein (former governor of the South Zone) was arrested for his alleged role in Forto 2013, the attempt to take over the Ministry of Information and demand democratic changes. Ahmed Omer Kakai DIED: The major general was once commander of the Aseb Front. He appears to be frozen as not much is heard about him. Ahmed Tahir Baduri FROZEN: Served in various capacities including UN Ambassador and appeared to be on fast track to become Foreign Minister particularly when younger versions of himself were blocked advancement opportunities. Now a shadow of his old self, roaming in Asmara. Alamin M. Said OCCUPIED. The Secretary of the PFDJ makes occasional appearances on official party businesses but the party he is Secretary to rarely meets at organizational level (has been 20 years.) His position is largely ceremonial and he is in poor health. Alamin Sheik Saleh ARRESTED. When the G-15 were G-19, they included people like Alamin Sheik Saleh. He retracted his endorsement under heavy pressure from the President’s Office. He was frozen not long after, and subsequently he was arrested and is reportedly in jail. Alamin Siraj FROZEN: Was Eritrea’s Sports Commissioner in the 1990s. He has no role in the party or the government now. Ali Said Abdella DIED IN OFFICE ABRUPTLY: Was named Foreign Minister when Haile “Derue” Woldetensae was shifted to Ministry of Trade/Industry in 2000 (and subsequently arrested in 2001 with the G-15.) Held the position of Foreign Minister until he died suddenly in 2005. Some of the opposition media reported that there was foul play involved and the government reported that it had performed an autopsy and he had died of a heart attack. Almaz Ljam OCCUPIED: Has always been low profile. Even some of her colleagues within the Central Committee have no idea who she is. She is a manager in one of Eritrea’s six administrative zones, the Central Zone. 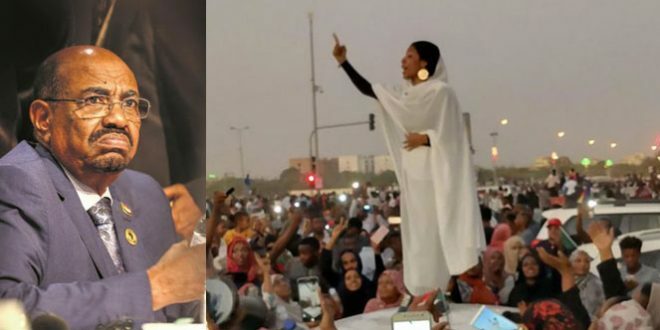 Amna Nur-Hussein OCCUPIED: A nurse in the armed struggle, she climbed the PFDJ ladder and, when Saleh Mekki passed away, she succeeded him in the job of Minister of Health. Andemikael Kahsai DIED IN OFFICE ABRUPTLY: Former Ambassador to the US and Italy (after the expulsion of Eritrea’s ambassador to Italy), Andemichael died mysteriously in Asmara after allegedly falling down a flight of stairs. Asemrom Gebrezgiher OCCUPIED: Major General and head of Logistics of the defense forces. Askalu Menkerios OCCUPIED: Despite the fact that her husband was outed by Wikiileaks as being anti-Isaias Afwerki and subsequently arrested, Askalu continues to serve as Minister of Tourism after a stint as Minister of Labor and Social Welfare. 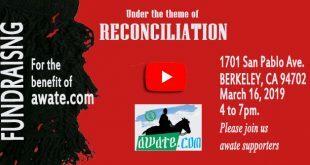 Beraki Gebreselassie ARRESTED: A teacher, co-founder of Revolutionary School, and Minister of Information during the time that Eritrea had a brief relatively free press, Beraki was a member of the G-15, and he was arrested on September 18, 2001. For nearly 13 years, he has been in prison in the deserts of Eilla-Eiro. Berhane Abrehe FROZEN: The former Minister of Finance had a falling out with Isaias Afwerki over the need for budgets and audits. A graduate of University of Illinois at Urbana-Champaign, he was Director of Macroeconomic policy before he became minister. Is in poor health. Has no government or party portfolio and is otherwise frozen. Berhane Gebrezgiher ARRESTED: Was in charge of the National Reserve during the 1998-2000 border war with Ethiopia when he was demoted, which generated a chain of letters to Isaias Afwerki. Was a member of the G-15, arrested on September 18, 2001. Presumed to be at Eilla-Eiro although some opposition news outlets have also reported that he died in detention. Berhane Zerai UNKNOWN: Very little is known of this veteran EPLF combatant other than his nickname is “Tawla” and that he is handicapped veteran. Ermias Debessai ARRESTED: The former chief of Red Sea Trading Corporation (“09”) who is also known as “Papayo” was sentenced by the Special Court for “corruption”, served time, was released and subsequently arrested in December 2003, with his sister Senait, who was a popular member of EPLF’s cultural troupe. They have been in jail for over a decade. Filipos W/yohannes OCCUPIED: After the death of Major General Wuchu, Filipos was named as Chief of Staff of Eritrean Defense Forces (EDF). Filipos is ascendant (for now) and he is rumored to either become the Defense Minister or to report to a future Defense Minister. Fozia Hashim OCCUPIED: Fozia Hashim is the Justice Minister that many humanitarian organizations send their (futile) appeal letters to, unaware that she has nothing to say about justice other than as it pertains to enforcing organizational dictates. Gebrezgiher A/Mariam DIED IN OFFICE: Also known as “Wuchu”, Major General Gerezgheir passed away in April 2014 after battling an unspecified illness and receiving treatment in Italy. He was posthumously promoted to Chief of Staff. Germano Nati ARRESTED: political activist, cadre, governor, administrator, Nati was a member of the G-15, and arrested on September 18, 2001. He is presumed to be in Eilla-Eiro, although some opposition groups have reported that he is dead and published a death certificate attributing his death to kidney failure. Giorgis Teklemikael OCCUPIED: A former member of ELF (Sagem), Girogis is the Minister of Trade and Industry. Formerly the Minister of Transport and Communication, Giorgis is soft-spoken, not much is known about him. Hagos Gebrehiwet OCCUPIED: Also known as “Kisha”, Hagos is the Director of PFDJ’s Economic Affairs Department and, more importantly, boss of Red Sea Trading Corporation (“09”), the parastatal company with its hands in every industry. One of its companies, Sembel Serehat Hatsinin Entseytn, actually constructed the Eilla Eiro prison where most of the political prisoners and private journalists were/are kept. Haile Mehtsun OCCUPIED: Brigadier General Haile, who was Eritrea’s first Health Minister, is Chief of Military Hospitals. A prison guard who escaped from Eritrea, Eyob Bahta, reported that Haile is the medical doctor who visited the G-15 at Eilla-Eiro. Haile Menkorious EXILED. Was a member of the G-15, one of 3 who were not arrested because they were outside the country on September 18, 2001 when the round-up of G-15 was initiated. A graduate of Harvard University, he is Head of the United Nations Office to the African Union as well as Under-Secretary-General of the UN. Haile Samuel OCCUPIED: Also known as “China”, the Maj General is one of five commanders of Eritrea’s five Command Zones. Haile Woldetensae ARRESTED. Also known as “Derue”, Haile, who was Eritrea’s Foreign Minister during the Eritrea-Ethiopia border war (98-00), was a member of the G-15, and arrested on September 18, 2001 when the round-up of G-15 was initiated. A prison guard who escaped says that Haile, who suffers from diabetes, was losing his eyesight when he last saw him. Hamed M. Karikare OCCUPIED: The major general is the Commander of Eritrean Naval Forces. Hamid Himid DIED IN PRISON. Was a member of the G-15, arrested on September 18, 2001. According to an escaped prison guard at Eilla-Eiro, Hamid Himid died in Eilla-Eiro prison. Hiwet Zemikael UNKNOWN: Hiwet reportedly moved to the United States and now lives in Dallas where she has no political role with the party or government. Isaias Afwerki PRESIDENT: for life. Issa Ahmed Issa OCCUPIED: Was Eritrea’s ambassador to Sudan until 2011. He (or his namesake) is occasionally mentioned in the news media in ad-hoc roles, such as organizing festivals. 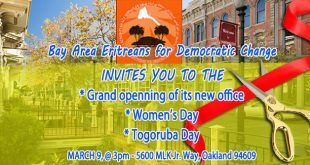 Leul Ghebreab OCCUPIED: Replaced by Ms. Teka Tesfamichael. She was the chairwoman of the National Union of Eritrean Women (NUEW), last seen at the Bologna Festival chairing a meeting. Mahmud Ali Herui UNKNOWN: Formerly ambassador to Qatar, then to Saudi Arabia. Husband of Ruth Simon, the AFP reporter who was jailed for “reporting secret information told by Isaias in a press briefing”. He is the younger brother of high ranking army officer, Saleh Herui the commander of the battle for the liberation of Dekemhare, who languished in jail for a long time until he was released a broken man. Mahmud Sheriffo DIED IN PRISON. The former and only vice-president (in the history of post-independent Eritrea), Sheriffo was a member of the G-15, arrested on September 18, 2001. According to an escaped prison guard at Eilla-Eiro, Mahmoud Sheriffo died in prison in Embatkala, before the prisoners were moved to Eilla-Eiro. Mohammed Ali Jaber UNKNOWN: formerly ambassador to Yemen and Djibouti, current situation unknown even by some of the remaining members of the Central Committee. Mohammed A. Omaro ARRESTED: One of the founders of EPLF and later PFDJ, Omaro held a series of ambassadorial positions including Kenya and Nigeria. He returned to Eritrea in 2014 and was subsequently arrested. Mohammed B. Blatta EXILED: A former member of the ELF leadership, Mohammed Berhan Blatta was a member of the G-15 before he disassociated himself from the group and was spared prison. He left the country and now lives in exile. Mohammed O. Redo CONFIRMED DEAD: Long ago: Omer Redo hails from Afar. in 1990 before being assigned to Radio Dimtsi Hafash Afar program, he was around afar area in department of political organization of EPLF. He was decent and taciturn man with full of integrity. Shortly after independence served as Ambassador to Yemen. and passed away after a short illness. Musa Rabá OCCUPIED: The police chief was one of the signatories when the G-15 were G-19; he disassociated himself from the group under heavy pressure from the president’s office. 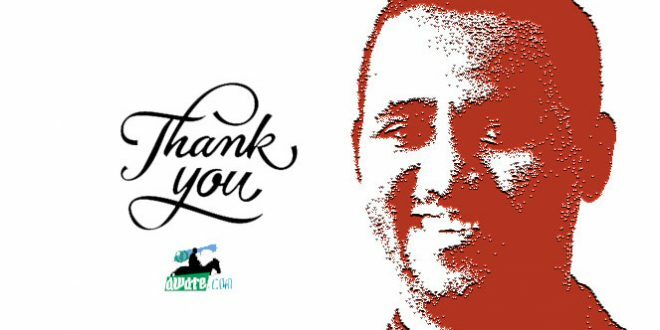 Mustafa Nur-Hussien ARRESTED: Along with Abdella Jaber and Ahmed Haj Ali, Mustapha Nurhussein was arrested shortly after Forto 2013, the attempt to take over the Ministry of Information and demand democratic change. His whereabouts is unknown. Naizgi Kiflu DIED, DENIED BURIAL: The veteran EPLF fighter died in London in 2013. For three months, his family pleaded with Isaias Afwerki to allow his remains to return to Eritrea. They were denied and he was buried in London. Nati Ibrahim UNKNOWN: Nati Ibrahim was one of the signatories when the G-15 were G-19; he disassociated himself from the group under heavy pressure from the president’s office. His status now is unknown. Ogbe Abraha DIED IN PRISON. Renown during the War of Independence, and one of only two full generals, Ogbe was Chief of Staff of the Eritrean Defense Forces until he was demoted and stripped of his rank by Isaias Afwerki in 2001 for daring to criticize the way the Eritrea-Ethiopia war was executed. A member of the G-15, he was arrested on September 18, 2001. According to an escaped prison guard at Eilla-Eiro, Ogbe Abraha attempted to commit suicide, didn’t succeed, but died shortly thereafter in prison in Embatkala, before the prisoners were moved to Eilla-Eiro. Omer Hassen Tewil DIED IN PRISON: Major General Omer Hassen Tewil was one of Eritrea’s five zonal commanders. Shortly after Forto 2013, he was suspected of having a hand in the “coup attempt” and arrested. He reportedly died in jail in May 2014. Osman M. Omer OCCUPIED: Eritrea’s ambassador to Egypt was ambassador to UAE, and governor (Administrator) of Denkalia (Southern Red Sea) region. Osman Saleh OCCUPIED: A former teacher, Eritrea’s Foreign Minister (formerly its Minister of Education) is often accompanied by Yemane Gebreab, the political director of PFDJ, the ruling party. Petros Solomon ARRESTED. Formerly Eritrea’s Foreign Minister and Defense Minister, Petros Solomon, renowned for his role during the War of Independence, was a member of the G-15, and arrested on September 18, 2001 when the round-up of G-15 was initiated. He is in Eilla-Eiro prison in the remote deserts of Eritrea. His wife, Aster Yohannes, was arrested three years later when she returned from the United States, where she was completing her studies. Her mother and her children eventually joined the long list of the exiled. Romedan O. Awliay OCCUPIED: The former Sports Commissioner is now the Administrator of the Central Zone. Saleh Idris Kekya DIED IN PRISON. Saleh, once the Director of the Office of the President, and Minister of Transporation, was a member of the G-15, and arrested on September 18, 2001. According to an escaped prison guard at Eilla-Eiro, Saleh Idris Kekya died in Eilla-Eiro shortly after his transfer from Embatkala as he was unable to cope with the harsh climate. Saleh Mekki DIED IN OFFICE (ABRUPTLY): The Minister of Health died suddenly, reportedly of a heart attack, on October 2nd 2009. A member of the mass organizations in the US, Saleh Mekki returned home after independence and he was appointed minister of marine resources and later ministry of health. Salma Hassen FROZEN: Moved to Eritrea from the United States where she held posts as zonal administrator (Anseba Region) and Minister of Labor and Human Welfare. There are reports, still unconfirmed, that she has been frozen. 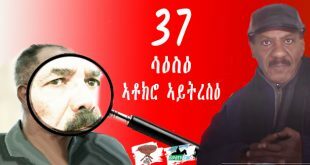 Sebhat Ephrem OCCUPIED. Sebhat was the Top General and Defense Minister for a long time. After the long-promised reshuffling of ministers, he was reportedly going to be the Minister of Energy and Mines. But, lately, it appears that he has fallen off the favored list and may be headed to the frozen pile. Simon Gebredengel OCCUPIED: the Deputy Director of National Security survived an assassination attempt in 2007 (the government media offered a typical promise to conduct a full investigation and then typically forgot to share its findings) when the military commanders started acting as warlords fighting over territories and dividing up loots among themselves. He has passed several loyalty tests and appears (APPEARS!) to be firmly in the insiders camp. Stefanos Seyoum ARRESTED. Stephanos’s last post was Director General of Inland Revenue where he made noise wondering why Red Sea Trading Corporation was immune from paying taxes. A member of the G-15, he was arrested on September 18, 2001 when the round-up of G-15 was initiated. He is in Eilla-Eiro prison in the remote deserts of Eritrea. Teklai Habteselassie: OCCUPIED: Major General Teklai is the Commander of Eritrea’s Air Force. Husband of Leul Gebreab. He was promoted to the job when his predecessor, Commander Habtezion Hadgu, was arrested (he remains in prison) for criticizing Isaias Afwerki’s role in the Eritrea-Ethiopia border war. Woldemikael Gebremariam DIED IN OFFICE (ABRUPTLY) in August 2013, when he was the Minister of Local Government. Because his predecessor, Mahmoud Sheriffo, was ALSO the Vice President, many assumed Weldemikael was also the Vice President, when he wasn’t. Neither is, for that matter, his successor. The Minister of Local Government is just that: NOT the vice president. There are no vice presidents in Eritrea. Woledmichael Abraha OCCUPIED: Appointed Minister of Local Government after Woldemichael Gebremariam passed away abruptly. Worku Tesfamikael FROZEN: Was formerly the Minister of Tourism. Appears to be frozen and has no governmental or ministerial portfolio. Likely in NUEW. 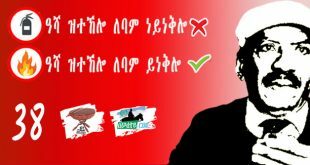 Yusuf Sayiqh OCCUPIED (but FADING): With the death or arrest of almost all of the senior Sahel-Semhar portion of the EPLF alliance, Yusuf is a loner: he recently attended the failed PFDJ festival in Bologna, but no one recognized or mentioned him. Zahra Jaber OCCUPIED (barely): the last consequential positions she had were two decades ago as member of the Constitutional Commission of Eritrea and as Mayor of Keren. 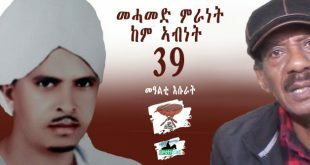 Zemhret Yohannes OCCUPIED: Joined the EPLF from ELF (Saghem.) His official job is as Head of Research and Documentation of the PFDJ. An ideologue, he often chairs meetings in Europe to reinforce the message of the party: that more patience, and more sacrifice is required. Zemzem Abdella OCCUPIED: Zemzem who? Nobody in the Central Committee appears to know who she is. without my approval! from now on you need to pass though me. don’t forget I am the boss of Habesha. Siyashaw miskin hono simechew yinegsal. Once there was a human-like monster called በላኤ ሰብ (man-eater). He ate everyone near him and then everyone as far as and he finished every human flesh and bone within his reach. He had to eat non-stop but there was no one left to be eaten. Then he started eating himself bottom-up, from periphery to center. Then what was left of him was his head which he started crunching it in as well. Then he was left with only his teeth. He crushed and swallowed the incisors first, and then the canine and the premolars, then the two molars using the other two, then the one molar using the other and the only left molar tooth. Finally, it was a problem to eat the last tooth, as it also was the last tool. The last tool tooth remained a big unsolved problem for the monster. The Houhis of Yeman have raised Isayas’s title, post-signing a service contract with Saudi Arabia, from dictator to monster-dictator and imposter. An angry Yemeni said that the Houthis now do not consider Eritrea as a real country after Isayas signed a secret document with Saudi Arabia. He added that a Houthi representative when asked for clarification of change of the country’s (Eritrea) status, he explained that Eritrea is now just part of the Arab Gulf Countries as Gibraltar is part of United Kingdom and as the US-Virgin-Islands is part of United States. 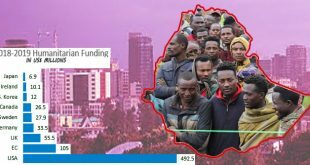 After all it was Qatar and some other Arab Gulf Countries that funded Isayas to destabilize the whole of East Africa and helped to build monster system and army leaders who are responsible for over 200,000 deaths of youth since 1998. Thanks for the info. Would be great if you can send me the link to the Houthi guy’s statement. Please provide the source for your news. Also please state if this is your imagined Houthi reaction. I will be waiting for clarification. Thank you. T.T. is the reliable source one of the thousands fabricators about PIA and Eritrea. You don’t need any other source as long as it is not EriTV, it is good enough for most Awatistas. You are right. I didn’t believe the earthquake in Nepal happened until I saw the stolen clips with no copyright license from the owners… where else, on EriTV. Indeed, I always depend on it: if it is not there it is not yet stolen. Get real; are you accusing Eritv of stealing? ‘Zemene gribit mai naqeb’ yblu. You have the nerve to tell us Eritv discriminate stolen articles, while AT enriched itself by publishing information about Eritrea you received from former Eritiv boss Ali Abdu. He stole the information and you received that information publishing it in your Brana from the “Belly of the Beast”. One who receives stolen articles is also a thief. time and our time her on Earth! Waw it is amazing how a supper liar mind works so quick! You are not letting me down, Excellent. Stay the course my friend. Stay truthful like EriTV. 1. “AT enriched itself.” Only a truth teller like you can discover that. 2. “information received from former Eritiv boss Ali Abdu.” You are violating the code, stay in your league… you are not promoted to the level when you can speak about such issues. Stat truthful. 3. “Your reliable source T.T.”: I had no idea T.T. was “my” reliable source. You appointed him to that position? Could be because in PFDJ land we do not have the equivalent of the term elected. Very truthful indeed. 4. Truth is told in a relaxed mood, why are you angry? You need to go for retraining–the next brainwashing session in Nakfa is due after a week. Smile truth teller! I never get angry on cyber space exchange, because there is nothing to be gained or lost in such exchange. Were there not news from ‘Reliable source from Asmara Eritrea’ posted in Ali Abdu’s reign at AT.? What happened such reliable news from Asmara lately?. Now seriously give saay a break on following Eritv, and take that task yourself for a week and report on the contents of Eritiv educational programs aimed at all levels of Eritrean people lives in building peace and harmony. You follow many information outlets around the world and compare how much time is devoted by Eritv to promote the image of the countries leader PIA. Can you give an honest evaluation of Eritv. Thank you for the information of the next brainwashing session in Nakfa. I will seriously consider it. What better way of utilizing my time, I may come out as sharp as Mahmud and TES. Smile boss! You must be watching a lot of National Geographic Channel. In the wild, an animal that plants its teeth on a prey doesn’t let go until it is dead. I told you on Ali Abdu it is beyond your league, you were not promoted since you were saying Ali Abdi for president. All of a sudden he is your target. Leave him out of this. I gave you an honest evaluation of EritV: it’s truthful, and you are the exhibit. I didn’t mean to be rude, I know your brain is clean, already washed. I don’t watch National Geography Channel. I told you several times that I watch ERiTv, you seem forgetting these days. As to your big league chap Ali Abdu, you are wrong again I never promoted any one for president except PIA. What made you think I promote some one else when I have a Life President. I know your sister Magazine Ethiopian Review was pushing your man describing him as the ‘Man of the Year, etc. I must agree once again with you, I have a clear head, not clutter and confused with crazy ideas of ‘democracy’ the freedom to depress or oppress have no relevance in today’s Eritrea real situation. I think you may need to clean your rusty mind or head just like a car or machine needs engine cleaning and change of oil to function properly. I have no sympathy for the regime of Isayas Afeworki, and anyone who what ever it can to bring the regime down is welcome. My point of commenting to this is comment was the former minister of information, Ali Abdu is by no means a “Reliable source from Asmara Eritrea”, far from it, unless someone comes and refute the claim. 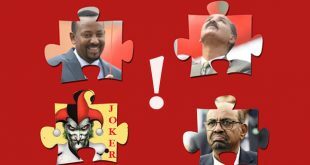 A certain “Stefanos Temolso” nick named “Lieutenant Tesfu Kidane” is one of the source of “reliable information from Asmara”, and based on his article Minister Ali Abdu was far from it. Based on Mr. Temolso, in fact he was right hand man of the dictator and arch enemy of the free press, who caused so much harm to the journalists. Since you were in sabbatical for a long time, let me bring you up to speed about dawit. 5. When Ali Abu defected, he calls him anti-Eritrea for allegedly passing info to awate and according to dawit this info enriched awate. Think twice before you bluff…and accuse people. How much can you trust that certain Stefanos Temelso? Did you the Affidavit of Support of the X-Minister? I wonder when you will stop goofing. You don’t have to state something you don’t know and try to ameliorate your goofing by “I stand corrected if I am wrong.” You can check your own statement and verify it. Now go and find that confirmation! Do you know the Amharic word ” goofaya?” That explains why mr hope is goofing. Are you sharing some checks with Semere Andom? 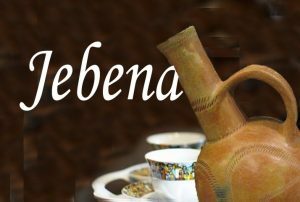 ሃልወሳ —በ ኣረበኛ የሚሉት ይህንን ነው፧: ጫት ቅሞ መመርቀን: የመብትን ዳር ድንበር ማስፋት :: ወይ ዲሞክራሲ !! stories, is this just to make something out of nothing. by all measure and from the yemenis themselves Eritrean stand has been praised and both parties have accepted its neutrality and they expect at certain time to play a role by helping the GCC in bringing the yemenis together. you know the huthis are rejecting to come to Riyadh or Doha for the peace meeting they want it held in yemen and the legitimate government of Mr alhadi is not accepting the huthis demand it be held in yemen, therefore the only neutral places both parties (may) accept are Asmara or Muskat in the neighborhood, and thats why the president was invited by the saudis last week,and believe me this is per my colleagues ..say “analysis” knowing what is going on in yemen. btw, i work in that neighborhood not distant places. The Yemeni friend could not be contacted in time due to time zone difference and when reached he gave a quick explanation. According to the Yemeni friend, the above was the opinion held by Yemenis politicians and conscious Yemenis nowadays following Isayas’s surprise visit to Saudi Arabia endorsing the confinement of what the Yemeni consider an infringement to their sovereignty to Arabs only to be resolved by Arab Gulf countries rather than condemning the aggressors and demanding an immediate stop to the aggression. The Yemeni friend, a friend of many Eritreans in Yemen, expressed his displeasure and voiced his anger over Isayas’s decision of indirect support of the blatant UN violation against Yemen and the Yemeni people. Does this Yemeni friend have his own website? I ask this because people are asking you for the link. But I think I am probably the only one who is understanding you clearly in that you are getting this information by word of mouth not on a website somewhere or maybe I am the only one who is clueless here, it is one or the other. Anyway, I don’t believe IA was invited by Saudi Arabia as our friend sara alluded to. Most likely, he called and told them I have something to tell you and he went to Saudi. He said we can help. Saudi said, sure. IA said, how much money do I take home with me now. That is how his rogue and principleless regime works. Needless to say, what you are saying is very plausible in my mind, probably even very likely to be true. Please keep posting your findings. you will not get that link.// or ny reference from TT or tt, it is all fabricated info, he is just smart he knows there are many who buy that kind farse.my friend search all news outlets and you will not find any info which could make you happy. What ever the mad man does is really not that much important , what is important is the habit of some people to throw every stone to one side with out hitting their aim. It would be nice for him to have prove unless it will be like the ethiopian webistes who keep lies on their bed. Kab lebas tekebali leba , oww . But do you have an y clue about what PIA might have suggested? -Diplomatic Solutions are being pursued. -PIA/Eritrea has a right to change Alliance for her best interest–from National Security Interest Point of view. 3)Saudi Arabia has signed Security and Military Agreement with Eritrea. You may be right but where is the prove, this is not like the other webistes , so you are asked to bring the link or any kind of that. 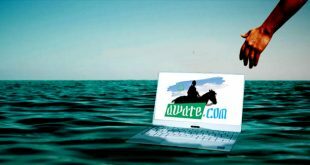 Please do not refer websites like awramba, tigrai on line and other trash websites. Value of trust is earned when you have the truth. What an original story! I must admit you are a great story teller. Let me add to your story as a complement. Once there was a father and his daughter living in a country side. The father was a professional liar of the village. One day he wanted to pass his profession to his daughter. He took her out in a field to teach her. He told her that he was going teach her how to be a professional liar, and he commanded her to listen carefully. His daughter was obliged to follow his command. He pointed to the sky and he asked her if she can see the farmers up in the clouds with their oxen threshing taff?. His daughter looked up in the cloud and suddenly started screaming holding her two eyes. Her father was perplexed and asked her what happened to her eyes, which made her to scream? The daughter told her father it was the chaff from the threshing field in the sky that enter her eyes when she tried to look up, which gave her the pain. After hearing her explanation he was happy that his daughter had mastered the family business. He died happily knowing that he had passed the family tradition and knowledge the art of lying to his offspring. I wonder if some traits like lying, smoking, drinking, gambling, honesty or becoming a man-eating monster etc. genetically inherited? Our only AT resident scientists tes and Semere might have some clue to the puzzle. I find it peculiarly curious that whenever PIA is mentioned Hayat Adem (HA) tries to evoke the ghoulish images of death and tries to paint a macabre scene of cannibalism such as when HA says ” በላኤ ሰብ (man-eater)”. As if this ogreish renditions is not grisly and ghastly enough, HA conjures the imagery of boxing matches to the mere debates/exchanges that goes on this web site by invoking images of bleeding noses and bruises. That is not all there is to it when it comes to HA, as HA is inured to animalizing all of those deemed to be supporters of PFDJ. From depicting PFDJ supporters as Pigs and Donkeys to what HA has shared with Rahwa T, HA’s partner in gossip mongering and hearsay sharing, when HA animalized the likes of ‘Gheteb as foxes. But that would have been well and dandy, if not for HA call to Awate Moderators to remove a video depicting the beheading of a certain person because HA claimed that it was horrifically obscene. That is true, but considering the foregoing three observations, HA takes are nothing but the prime examples of what the ‘epitome of contradictions within contradictions’ means. The good news is they (PFDJ)are getting old and some how motionless. It is a matter of time that they end up to be like the past once. The bad news is PFDJ cadres know far better information about the opposition personalities and even they have email exchange of some highly opposition figuers. How is the information from opposition camp ending in PFDJ cadre is really surprising. These 40% are not even having 0.00001 % of the decisions makings. Every thing is done by the mad man. We should hope that the western brainwashed PFDJista end up where they are .There will be a transfer of power from old killers to young killers some time in the future , how we fight with the caming monsters should be our priority. Dear AT, this kind of detailed research is where this website is unparalleled. This is a great effort and I appreciate the time you guys spent to compile this information out. A lot of people know bits and pieces but this is as complete and accurate as it can get given the immense difficulty in getting any information out of Eritrea. I am not sure how many of this names the average PFDJ supporter or justice seeker can recite. Personally, just a handful. Thank you for compiling this useful information. I know I am restating the obvious but the one and only thing that is constant is Isaias Afwerki. Every member and every position has been either changed, frozen, restructured, arrested, killed, exiled or OCCUPIED. IA remains the sole thing that never changes his position. It is extremely difficult to believe though that one single person can toy with a nation full of several million people along with its elites, merchants, peasants and everything in between. I am not sure if there is a precedent for this. People can state lots of former and current dictators but not a single one can have complete and total control of everything with the exception of IA. This report is as much about IA as it is of the respective individuals listed. I am a believer of weeding out the entire PFDJ machinery but a report like this has to give the reformers lots of credibility in that once IA is removed, the party could be reformed. If this doesn’t make anybody believe that IA has total and complete control of everything, I mean everything, that happens in Eritrea, I don’t know what will. I would never ever join anything that has to do with EPLF/PFDJ but the mission of this organization has either been hijacked by IA or its supporters see him as the one and only person capable of pulling the trigger from small mundane things to matters of national security otherwise I cannot fathom how so many people can simply relinquish their voice or power and allow one person to to manipulate them like toys. Kiros Awer has been in jail since a long time. He was jailed together with the G15, he could be in Ella Ero. 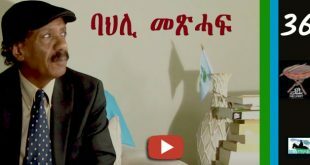 1- Giorgis Teklemikael OCCUPIED: A former member of ELF (Sagem), Girogis is the Minister of Trade and Industry. Formerly the Minister of Transport and Communication, Giorgis is soft-spoken, not much is known about him. He was replaced by Weddi Bakheet. 2-Osman M. Omer OCCUPIED: Eritrea’s ambassador to Egypt was ambassador to UAE, and governor (Administrator) of Denkalia (Southern Red Sea) region. He was Eritrea’s ambassador to Egypt and now is ambassador to UAE or other Arab country. Fana Tesfamariam is no more serving in Massawa; She is in Southern Region adminstrative office. It is interesting that only 40% of the Central Committee members are currently occupied. I don’t know if the CC has ever met to perform its duties since its formation in 1994. But what is shocking is 1 in 4 members of the CC are in prison (some presumed dead in custody). A pie chart would actually do justice to the presentation of the unceremoniously removed (arrested, exiled and frozen) vs the occupied. What is more shocking is that the unceremoniously removed make up 43% of CC while the presently occupied are a mere 40%! I don’t know what the quorum requirements are, but if it is 50%, I don’t think the CC would ever meet again. I guess Isaias will tell us someday that PFDJ has been dead for 20 years! He would probably say: “ሕግደፍ ከም ዘየለ ኩሉ ሰብ ስለ ዝፈልጦ፡ ናይ ቀደም ሕግደፍ ነይሩ፡ ሞይቱ፡ ተንሲኡ ክብለካ ኣይደልን እየ ። ሕጂ ጎናዊ ናይ ቈይቊ መኣዲ ምፍጣር ትርጉም የብሉን ። Actually, I don’t remember if he ever used the word PFDJ ሕግደፍ in his interviews. He always refers to it as hzbawi gibar ህዝባዊ ግንባር. I will try to embed the pie chart in here. If disqus does not allow me, please follow the link below to see the above figures in a pie chart. The bad news keeps coming. Well, here anther show for some people will drive to the ditch. For sure, Semere will be under strictly watched, we don’t want him to harm himself. It is true, there are good things and there are Eritrea needs to improve upon. let’s be fair . You can stick any propaganda video but the fact remains that the regime you are defending hasn’t had a congress for 21 years. According it’s charter it should have 5. Even according it’s culture and tradition it should have three. What will be Nitricc’s excuse for this? Leul Ghebreab is most probably frozen. She didn’t attend March 8 celebration and even didn’t mentioned on the news. As you know one day a replacement will appear on the regime’s news outlets suddenly. Actually, a replacement did appear. Ms. Tekea Tesfamicahel toured the USA as President of NUEW after her meeting in Geneva with the UN. If you had followed Eritrean National news or Eritv, you would have known, the fact about you country. Several months a go there was a meeting of National Union of Eritrean Women (NUEW). In its 7th. congress new leadership was elected. And one day PFDJ will call its National Congress in Asmara and elect a new leadership replacing PIA and you wouldn’t know about it! that schedule was envisioned if Eritrea was existed in normal political world atmosphere, but when you live in a strange world, then you follow a strange schedule. Aman don’t give up hope one day ERITV may suddenly surprise you by a replacement of PIA. Stay tuned to the source of the ‘Truth’ instead of trash news from source like Awramba Times.